Kavell Conner just went WWE on Antonio Brown. The great James Harrison chasing down Rivers on that play. A Hard Knocks All Star. Melvin Gordon had 4 carries for 9 yards in the first half. Now he just fumbled. There's really not much to say. Lambo's 60-yard attempt is no good. We go into the half with the Chargers holding a slim 7-3 lead. Move those chains! That marks Malcom Floyd's 300th reception! 1:26 to go in the half. It's Mike McCoy Poor Clock Management Time! Yes! Steelers get on the board with a 47-yard FG. Chargers lead 7-3 with 4:24 left in the half. Sixth 20-plus run allowed by #Chargers this season. Tied for 2nd-most in the NFL. That's been the biggest problem on defense. CB Patrick Robinson down for Chargers. One of their best offseason acquisitions. Came via Saints in free agency. The Steelers have finally figured out the Chargers front seven can't stop Le'Veon. Nice work. Chargers O-linemen been penalized on each of past three drives: LT Hairston holding, LG Wiggins holding, Hairston false start. All punts. 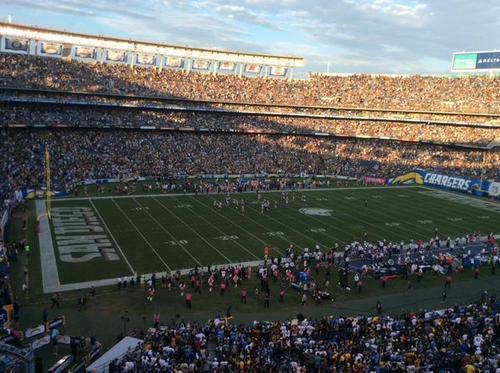 The Chargers haven't targeted Gates once since that opening drive... Why? You know what we need? More flags. Lots more... like on every play. Who doesn't love watching the refs hold a conference every 30 seconds? Trying to understand why the Chargers are going away from Gates. Manti Te'o tapped helmet and took himself out of game. Speaking with athletic trainers on sideline bench. Steelers finding success with screen passes to Le'Veon, but not much else. 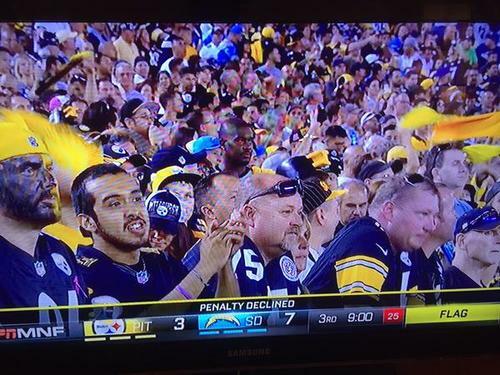 You knew Antonio Brown was going to get at least one big play tonight. Vick connects with Antonio Brown for 39-yards. 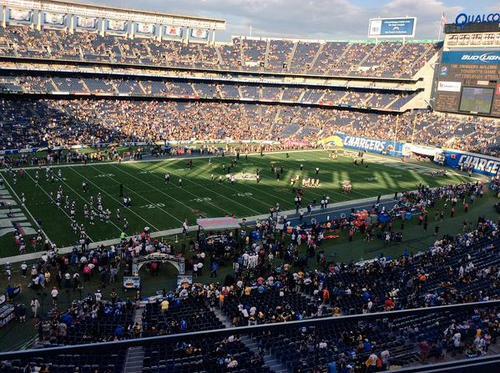 Steelers are in Chargers territory. Steelers are struggling to get anything going with Le'Veon and Vick has no time to throw. This offense looks inept. With ILB Ryan Shaizer out, you have to wonder how the Steelers plan to stop Gates. This could keep going all night. Antonio Gates. TD NUMBER 100. He's back! Rivers to Gates for the TD! Chargers up 7-0. Rivers hit Gates 3 times on that drive. Rivers completes three straight passes, two to Gates and a third to Woodhead. Chargers are eating the Steelers secondary alive. Steelers go back-to-back wildcat with Vick lining up against Verrett. Neither has worked well. Interesting. The #Chargers makeshift OL: Hairston starting at LT for injured King Dunlap. Wiggins in at LG for Orlando Franklin.